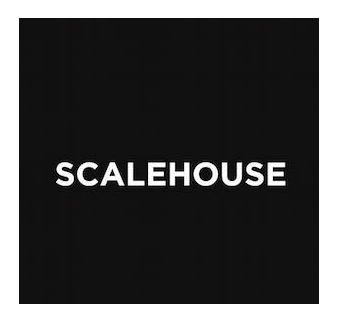 ScaleHouse is a member-supported, non-profit arts organization that produces year-round events, including talks and workshops, exhibitions and performances, and the annual Bend Design conference. ScaleHouse is thrilled to present ScaleHouse Voices, a series of talks with visiting artists of diverse disciplines, exploring ideas and techniques, practice and process, creativity and culture. The series debuts April 18 when contemporary visual artist Ka’ila Farrell-Smith joins us to explore the ways water shapes, connects, and inspires us, in advance of her exhibit Water in the West, opening at the High Desert Museum in 2019. Ka’ila Farrell-Smith is a contemporary Klamath Modoc visual artist based in Portland, Oregon. She works as a professor in the Indigenous Nations Studies at Portland State University and is co-director for Signal Fire artist residency program. In 2018, she is facilitating community-based art projects for an upcoming installation responding to the theme Water in the West, at the High Desert Museum in Bend, Oregon opening in 2019. Her work has been exhibited at Out of Sight 2017 + 2016, Bridge Productions, the Alice Gallery, Institute for New Connotative Action, Linda Hodges Gallery, Museum of Northwest Art, Tacoma Art Museum, WA; Missoula Art Museum, MT and Medici Fortress, Cortona, Italy; and in Oregon at the Gretchen Schuette Art Gallery, Blackfish Gallery, and is in the permanent collection of the Portland Art Museum and Jordan Schnitzer Museum of Art. Ka’ila has recently been selected to attend artist residencies at Caldera, Djerassi, Ucross, Institute of American Indian Arts, and upcoming at Crow's Shadow. Ka'ila Farrell-Smith has a BFA in Painting from Pacific Northwest College of Art and an MFA in Contemporary Art Practices Studio from Portland State University. View her work here. Hosted by OSU-Cascades and produced by ScaleHouse, ScaleHouse Voices is a series of artist talks featuring the fresh voices, perspectives, and ideas of nationally and internationally acclaimed artists, designers, and scholars. OSU-Cascades provides students personalized instruction and OSU's excellence in both academics and innovative research, as well as the lifelong advantages of a premier research university. OSU-Cascades is the only baccalaureate and graduate degree-granting institution based in Central Oregon. OSU-Cascades expanded to a four-year university when it welcomed its first freshman class in fall 2015. THANK YOU TO The Casey Family Fund of The Oregon Community Foundation. Never miss an announcement, update, or dose of inspiration. Be the first to know about upcoming conferences, exhibitions, talks, workshops, performances, and special events.